Below is my statement concerning the Labour Party’s failure to tackle anti-Semitism. “Jeremy Corbyn has failed to tackle anti-Semitism in the Labour Party. He must act now by adopting a zero-tolerance approach to any form of anti-Semitism,” said London MEP Mary Honeyball. “Many great founders and pioneers of the Labour Party were persecuted brave Jews escaping the programs and the persecution of tyrants. “These pioneers helped to shape and formulate the Labour Party we have inherited today which unequivocally stands for equality, and tolerance. “I condemn totally and utterly anyone, no matter their status, who acquiesce even by his or her silence, in any form of anti-Semitism or racial discrimination. “Such conduct is offensive in the extreme, and I will do all I can to combat it anywhere but particularly in our multicultural, tolerant free city of London. Mary will attend today’s planned protest at 5.30pm Monday 26 March on Parliament Square organised by the Board of Deputies of British Jews and the Jewish Leadership Council. Happy New year to all my readers and I wish you a healthy and prosperous year, one which will be a significant year for British politics. The general election in May is what the pollsters have hailed one of the closest to call elections in decades. Kicking off its election campaign the Labour Party promised to put ‘working people first, deal with the deficit and protect the NHS as top priorities.’ Ed Miliband is set to further outline this today in a speech to launch the party’s campaign. To answer questions from as many voters as possible, Ed Miliband will attempt to undertake a huge campaign and has promised to hold a weekly question time with voters during the run up to the general election, where he will reach an estimated four million voters. Over the weekend Miliband criticised the Tories’ rather bleak looking first election poster, which literally ‘depicts a road to nowhere’, as Miliband said. He also calls Cameron a prime minister who simply wants everything to carry on as it is. He criticises the Tories desire and willingness to undertake a plan which doesn’t alter in any way to the original one. He suggests they are pessimists about what’s achievable for Britain. It’s going to be an incredibly busy five months in the political world and I will fight with colleagues wherever I can to convey Labour’s message, to show voters that there is hope, that the road isn’t bleak, in the way the Tories image would suggest and an alternative plan can work. Meanwhile, the Tories came under fire from one of Britain’s most respected business leaders and inventor, James Dyson. He criticised the home secretary, Theresa May ,over proposals to force overseas students to leave the country upon graduation. Sir James Dyson argues this is a mistake because it ‘exports’ potential top talent for the sake of a quick electoral fix. He ridiculed Theresa May’s idea which would effectively turn the UK’s world class university education into an “export” rather than a magnet for investment. Just before Christmas the Church of England announced it had appointed its first woman Bishop. The Reverend Libby Lane was announced as the new Bishop of Stockport only a month after a historic change to canon law. The appointment will end centuries of male leadership of the Church and comes 20 years after women became priests. I wish her the very best of luck in her new post, and am delighted that the Church has broken another glass ceiling. UKIP’s second by-election win should give us all pause for thought. They have now demonstrated the level of their support and have provided clues about what they would do if they were ever to gain any kind of power. Nigel Farage has, for instance, said he would like an insurance based private health care system. Unfortunately the media, in particular the BBC, has been full of ‘fun’ footage of Nigel Farage enjoying a friendly pint of ale, seemingly harmless enough-only it isn’t. Perhaps now, as Andrew Rawnsley so brilliantly suggested, there will be fewer images of ‘Nigel down the pub and a lot more questions about what he would do with power. David Cameron has underestimated the party’s threat. He promised to ‘kick his fat arse’, referring to Mark Reckless, of course, who won last weeks by-election in Rochester and Strood. Reckless is now Ukip’s second MP. Despite promises to ‘throw the kitchen sink’ at the election- which he did by visiting the constituency no less than five times, the Tories still lost. It is true, as Rawnsley points out, that by-elections are a very unreliable predictor of what will happen at a general election. However, the Labour Party also has to focus its efforts and be very mindful of the threat Ukip poses. Although the England women’s football team lost to Germany yesterday (3-0, to those of you who are interested), congratulations none-the-less to the women’s team who attracted record numbers of spectators at their first match held at Wembley. They drew huge crowds, 45,619 to be precise- more than for the last men’s game played there. So, now the campaign must begin in earnest to get them the recognition they deserve, as the Telegraphs Wonder Women section writes. An inspired campaign started by Belinda Parmar, CEO of Little Miss Geek, focuses on changing the perception of children. The playground trading of football cards is big business. Match Attax cards are bought by 1.5 million children each year. Yet none of those cards circulated by millions of kids display women players. It was encouraging to hear that the numbers of women on corporate boards has crept up again. However, we are only talking of a minimal increase of one per cent, but at least it’s heading in the right direction and it’s happened less than a year since the last figures were published. So, the percentage of women on corporate boards in the European Union now sits at 18.6%, up from 17.8% in 2013, the European Commission figures revealed. Although an increase is encouraging, this remains far short of the 40% target set by the commission. In addition just over 3% of Europe’s biggest companies have a female CEO. This is a poor figure and needs improving quickly which is why I believe there is a real need for quotas for women sitting on company boards. Three per cent is woeful and shows that there is still so much to do in order to make real impact at a corporate level. The Conservative peer Lord Ashcroft, revealed in his latest poll that Labour will win in Lib Dem target seats. He also said that Labour is on course for a comfortable majority. There will be an abundance of polls between now and the general election next year, but The Labour Party is right to remain cautious because despite the election being a mere eight months away we still have a lot of work to do; not least fighting off UKIP in their target seats. Indeed we mustn’t lose sight of the real threat they pose and we must be vigilant in dealing with this. To ignore them would be dangerous. We only have to look across the water to France and the municipal elections to see how well UKIP could do here in the UK. The far-right Front National (FN) won its first seats in the upper chamber over the weekend elections, marking a shift in the political map of France. Anne Penkith in The Guardian writes, “scored a historic victory in elections to the French senate on Sunday, winning its first ever seats in the upper chamber as the ruling Socialists and their left wing allies lost their majority to right wing parties.” If the FN are starting to gain seats in France there’s no reason to think UKIP couldn’t pose a similar threat in the UK. The Party of European Socialists recently adopted its manifesto for the European elections to be held in just over two months’ time on 22 May. Unlike the other pan-European parties fighting the European elections, the Party of European Socialists has a common manifesto with all the national Labour and social democrat parties across Europe, though there will be some room for member state discretion. The PES will also return MEPs from every EU member state unlike the ECR (European Conservatives and Reformist) Group whose mainstay is the British Tories. I am posting the PES Manifesto on this blog in three parts. We strongly believe that the European Union must change. This May, in the European Parliament elections, your vote will give us the opportunity to deliver the EU that you deserve. A Europe that progresses, a Europe that protects, a Europe that performs. Our political family of parties across 28 countries will dedicate themselves to fighting for a secure future for you. The right wing has created a Europe of fear and austerity. During 5 years of an EU conservative majority, we have fought for a strong, socially just and democratic Europe. But now it is time to lead from the front. To do that we need your support, your help, your vote. Our programme for the next five years of the European Union will bring back job creation, a productive economy, a sense of community and respect for people. We want to put you as a citizen and as a voter back in charge and bring back hope to Europe’s youth. This May for the first time you will have a say in who runs Europe. Your vote will decide who the next President of the European Commission is. To change the right-wing majority in the European Union, the only vote that counts is a vote for European Socialists, Social-Democrats, Labour, Democrats and progressives. This is our first and main priority: Europeans, women and men, must have a decent job that allows a good quality of life. Yet here is the legacy of the economic policies of the last five years, in stark figures: nearly 27 million Europeans who want to work cannot find a job, including nearly a quarter of our young people. 120 million in Europe are at or under the poverty threshold. Creating jobs for young people is a challenge which will define us, for this generation and the next, and will remain a key priority for us as part of our long-term commitment to full employment. Central to our job strategy is the full implementation of our Youth Guarantee plan. To make it successful, we will substantially increase its budget and extend it to everyone under the age of 30. To create jobs, we will introduce an ambitious European industrial policy and will support our Social Economy and our Small and Medium Enterprises. We will promote innovative green technologies and improve the performance of our economies. We want to put an end to social dumping, by ending the practice of exploiting workers and precarious contracts that harm many Europeans. We want to promote social justice. We will insist on strong rules to guarantee equal pay for equal work, the protection of workers’ rights and quality jobs; on reinforcing trade unions’ rights, social dialogue and anti-discrimination legislation; improving the protection of workers posted in a different country by revising the Posting of Workers Directive; and promoting better cooperation at European level on labour inspections. We will introduce decent minimum wages across Europe, established either by law or through collective bargaining. The jobs we create must allow all our citizens to participate in the economy as proud equals. All trade agreements, including the one currently under negotiation with the United States, must be bound to the protection of people´s human and social rights, decent work, environmental standards, culture as well as corporate social responsibility and fair trade. Proposals recently put forward should remind those of us on the left of the need to fight the good fight when it comes to Europe. A set of suggestions put to the government, previewed in the Daily Telegraph, have been compiled by the right-wing Eurosceptic lobby group Business for Britain. They are part of its effort to have certain UK companies made exempt from EU guidelines. A paper released by the organisation argued that British firms should be allowed to “opt out of some of the more onerous European regulations” in order to enhance “competitiveness”. They say doing so would save the UK £7 billion a year (a figure, incidentally, around a tenth of that which the CBI estimate that we gain each year from being in Europe). That the man making the Business for Britain case is billionaire and former Tory Treasurer Peter Cruddas gives a sense of exactly where the group is coming from. Cruddas has joined Business for Britain’s eight man board – at present headed up by Matthew Elliott, founder of the Taxpayers’ Alliance – with the stated intention of “changing the terms of Britain’s EU membership”. His anti-EU offensive this week has centred on the apparently stifling level of “red tape” Britain is subjected to by Europe. Presenting Euroscepticism as an attack on bureaucracy is a common – and unfortunately fairly effective – rhetorical device among those on the right. In enables protection for workers to be brushed aside as needless officialdom – vital safeguards on the financial sector to be dismissed as administrative window-dressing. It frames the debate in a way that, at first glance, is compelling to an outsider – no one wants more red tape, after all, do they? – but which in reality seeks to undermine employee rights and let businesses operate unchecked. The supposed “red tape” currently binding EU firms includes regulations which protect workers from exploitation and discrimination, and measures which mitigate against the risks attached to international finance. There may be occasional news stories about EU guidelines missing their target or being too prescriptive, but in the great majority of cases they act as a brake on businesses looking to take shortcuts or exploit loopholes. As we move towards the European Elections in May the debate about EU membership is likely to move in one of two directions, either becoming a more and more negative discourse about immigration, or an increasingly technical debate about whether, in financial terms, Britain gains more than it loses through being part of Europe. If we are to set out a more positive argument about the EU we need to avoid colluding in the idea that all Directives from Brussels are bad, and instead remind voters that being part of Europe is a means of protecting our social fabric. With the likes of Peter Cruddas leading the Eurosceptic charge – and a Tory government at some point in the future unchecked by the EU seeking to further undermine employees – it is vital that the Labour Party does not just pay lip service to the European Elections. We must be sure to see the wood for the trees when it comes to the EU, and to make the case strongly. Following last Friday’s blogpost, there is, of course, more to say about UKIP’s disproportionate media coverage, exposure they would never get with virtually any leader other than Nigel Farage. UKIP is a fringe party in British politics. They have no MPs at Westminster. The House of Commons is a UKIP free zone, in contrast to the Greens who have managed to secure Caroline Lucas’ election in Brighton. Greens 1, UKIP 0 graphically demonstrates the attitude of the British people towards the UK Independence Party. When it comes to the crunch UKIP are absolutely nowhere. UKIP gained a derisory 919,471 votes, 9,784,183 behind the Tories and 7,687,046 fewer than Labour. UKIP a major political player? Give us a break. proportional representation which improves the showing of smaller parties. Party with mass support, or indeed much support at all. They are, in fact, nowhere at all. polled 6,800,000 in the May 2010 general election. they should be the first to change their ways. Since the Tory cuts began, women have been seen to bear the greatest impact in every area of life. One area of growing concern for me is the negative effect of the cuts on women’s safety. The safety of women across the country is increasingly at risk. It is at risk because of reductions in police numbers, as seen in my London constituency, and it is at risk because councils are cutting back on street lights in an effort to save money. It is also at risk because organisations which support women to leave abusive relationships or jobs in which they are sexually exploited and abused have lost their funding. These are organisations like the Derby Women’s Centre which is currently under threat of closure as a result of cuts to its funding. My colleague Glenis Willmott, MEP for the East Midlands and Labour’s Leader in Europe, spoke out against the cuts to its funding yesterday. A number of women’s refuges and other specialist organisations which offer a safe space for women who have been abused are also suffering as a result of the cuts. Such organisations provide crucial support to victims of domestic violence, women who have been trafficked and the homeless. Last year I spoke a lot about the Poppy Project and the cuts to its funding. The Poppy project is an excellent organisation which provides support to survivors of trafficking. For some of the most vulnerable women, like those who have recently left abusive relationships, access to a crisis loan can be an important resource. This is especially true if a woman has had to leave behind her possessions when escaping her abuser. This type of emergency loan can assist her in starting to rebuild her life. Recent welfare reform proposals shift the control of such crisis funds to already stretched local authorities with no checks to ensure the funding is spent on providing crisis support. They also rather ludicrously suggest that councils could provide support in kind rather than money to people who apply for crisis funds. Women who have taken the brave move of leaving abusive partners should not have to suffer the lack of autonomy and indignity associated with receiving food parcels. A coalition of 20 charities, including Banardo’s and Women’s Aid, has called for the ring-fencing of funds to provide crisis loans in a letter to the Guardian last weekend. You can read the letter here. In response to the ever increasing impact of Tory cuts on women’s safety, the Labour Party is carrying out a Public Consultation. The Consultation was opened shortly before the Christmas break but I felt given the hectic holiday period it might be a good idea to revisit it with you now we are in the New Year. The findings from the Consultation will be used get a clearer picture of the cumulative impact of tory decision making and to develop legislative measures that could be used to make women safer. It will also be used as an opportunity to consult on Labour’s proposals for a new Personal Safety Bill. The consultation is chaired by Vera Baird QC who will be supported by Kate Green MP (Shadow Minister for Equalities) and Stella Creasy MP (Shadow Minister for Crime Prevention). If you would like to find out more about the consultation or take part, please visit the Everywoman Safe Everywhere website. Together we can make Britain a safer place for women. 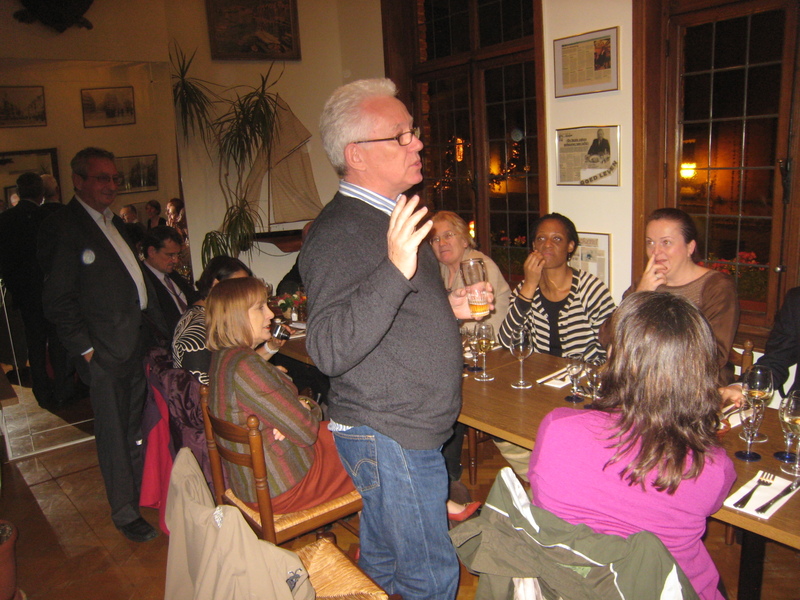 Earlier this week I was delighted to welcome a visiting group of members of Hackney Labour Party to Brussels. The European Parliamentary Labour Party’s Secretary General Giampi Alhadeff (pictured by the plants) is a Hackney resident and he had been the driving force behind the intensive visit to the European Parliament to meet MEPs and Parliamentary officers. As the pictures show we had an enjoyable meal. There were speeches from Stoke Newington Councillor Rita Krishna, who is Hackney’s Cabinet Member for Children’s Services; former councillor John Hudson from Hackney South Labour Party and Giampi Alhadeff. 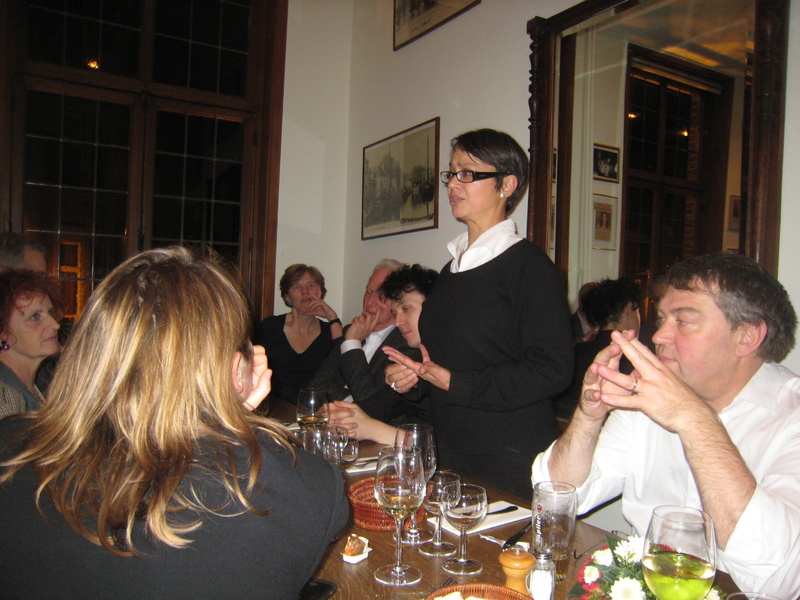 Giampi had organised an excellent programme of meetings as sevral of those at the dinner told me. Regrettably my London Labour MEP colleague Claude Moraes was unable to join us. 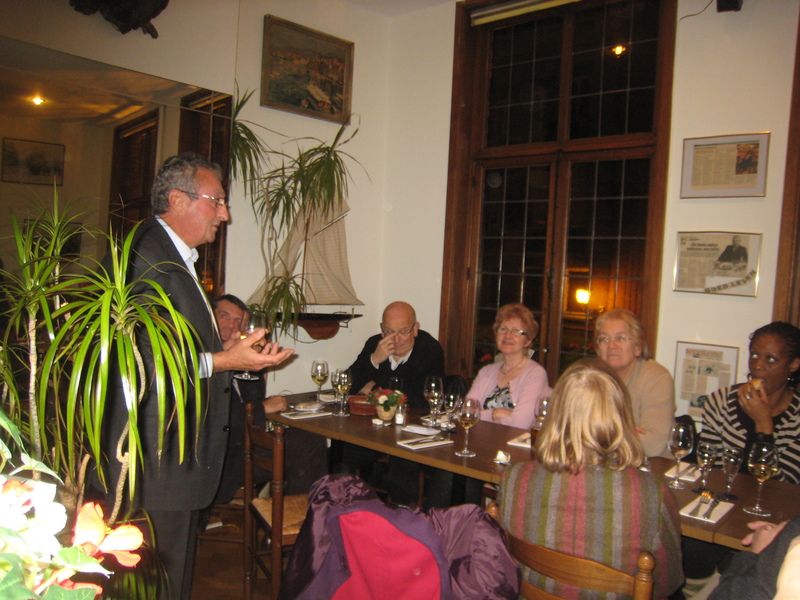 Claude is unwell and everybody at the dinner wished him a speedy recovery from his current illness. Claude is a Hackney resident so it was particularly unfortunate that he missed our dinner. 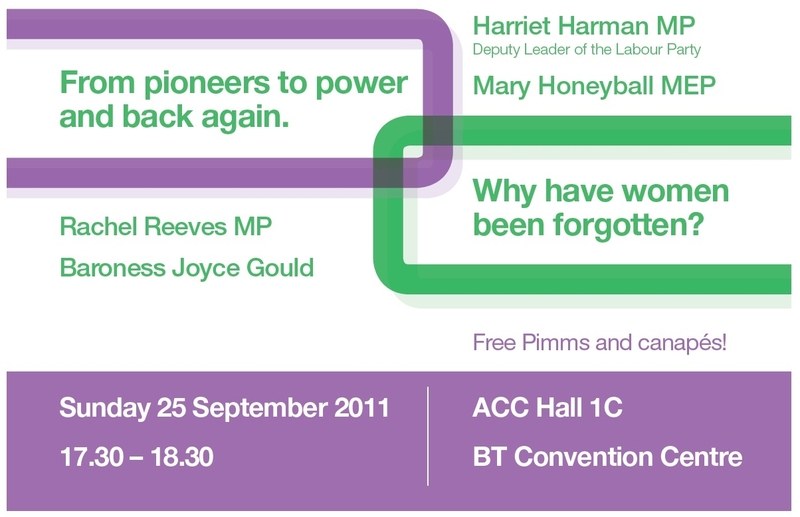 At Conference: From Pioneers to Power and Back Again: Why Have Women Been Forgotten? 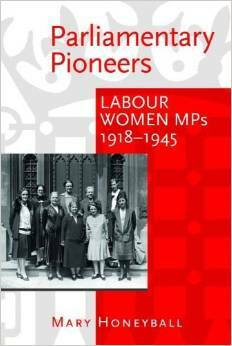 One of the most overlooked aspects of the Labour Party’s history is the contribution of its women activists. By holding this event I plan not only to pay tribute to the work they did and the successes of women in the Labour Party but also to ask why women have been forgotten in the socialist movement. I believe this question is more important now than ever before as the Tories are in the process of rolling back all of the advancements women have made in recent years. As a result, the women’s vote may cost the Tories the next election. Labour’s future lies in once again becoming the party for women. So join me, Harriet Harman, Rachel Reeves and Baroness Joyce Goulding for an afternoon where we examine where we went wrong and how to become the women’s party for the future. You can also find details of it in the Conference Guide (page 63) or online here.